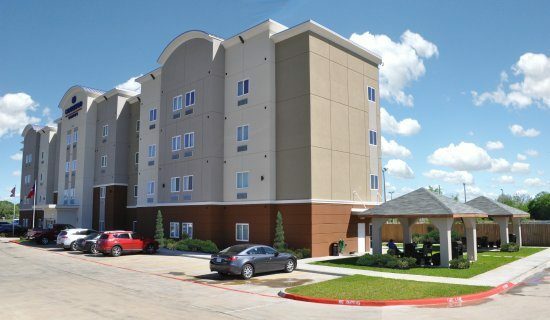 The Candlewood Suites Bay City extended stay hotel is an all-suite hotel conveniently located on Hwy 35 and sits only a few minutes’ drive from big business in Bay City, such as Tenaris, Exxon Mobil, and Oxea Corporation. From business, beachcombing to bird watching and from great food to golf, you’ll find it all near our hotel in Bay City. Feel at home with our fully equipped kitchens in our all-suite hotel. Catch up with work in our business center or relax in a modern and comfy suite with a flat screen TV and free high-speed internet access. Visit our Lending Locker and check out your favorite gaming console after an exciting day discovering charming Bay City or after a hard days’ work, unwind at our Gazebo Grill.